With a high level of experience in the Chinese market, CTI is equipped to handle all the complexities of international business. 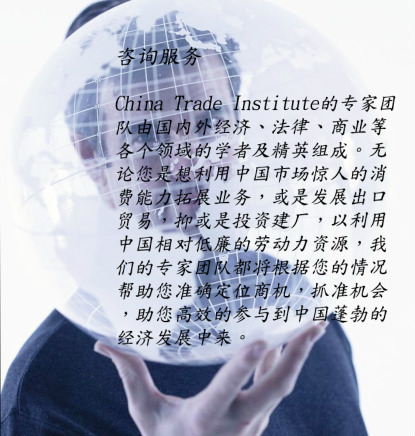 China Trade Institute is rapidly becoming the largest global source of academic, business and professional expertise relating to commerce in China. 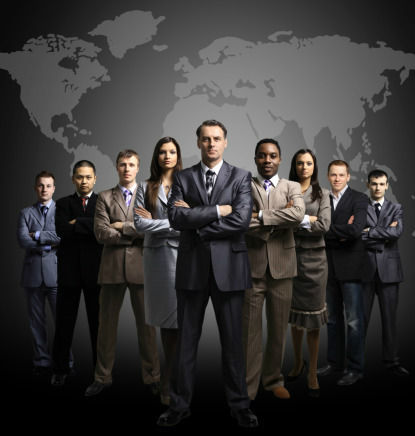 Our unique consortium of faculty advisors and registered consultants provide an extensive background that is available to facilitate a wide range of transactions from complicated mergers and acquisitions to understanding the preferential tax implications of foreign investment enterprises in China. China Trade Institute can provide sophisticated, timely advice relating to such disparate areas as marketing in China, product distribution, banking and currency issues, China travel, negotiating protocol, sourcing issues, risk management and Guan Xi -- the unique Chinese protocol for relationship building and gaining business and social influence.The needs of your firm will be addressed by experienced professionals who are well-versed in the complexities of the market.